Are you familiar with organic & raw apple cider vinegar? Its uses range from a pantry staple to daily elixir. People have used it for centuries in cooking and as a traditional remedy for different ailments. Check out our recipe page for some creative ideas on how to use it! What is really cool now is that modern research provides scientific evidence for some of those age-old health claims. There are many positive benefits related to regular consumption of apple cider vinegar. Some are supported by research (see below), and some are simply backed up by personal experience. Many find it to be an effective digestive aid, cure for heart burn, remedy for leg cramps and appetite suppressant. However, we strongly recommend consulting your doctor before using any product to self-treat health-related issues. What is floating in my bottle of Apple Cider Vinegar? 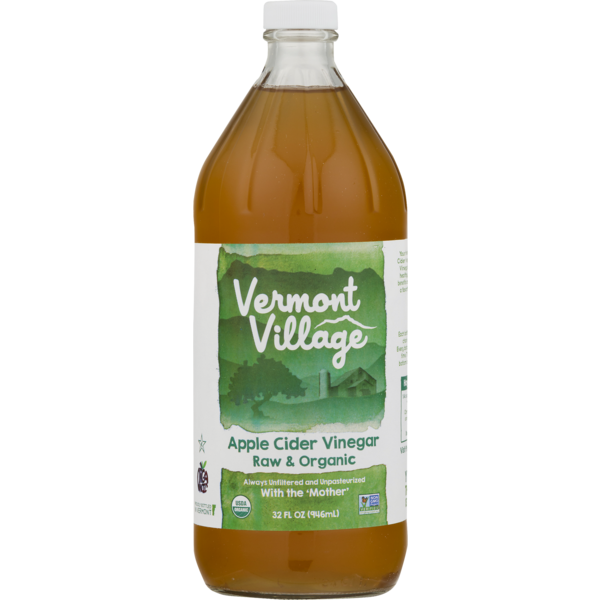 At Vermont Village we produce organic & raw apple cider vinegar with the‘mother’that is unfiltered and unpasteurized. The ‘mother’ is the culture of beneficial bacteria that all vinegar comes from. This living organism produces acetic acid which gives vinegar its characteristic sourness. In raw, unpasteurized organic apple cider vinegar, the'mother'is still alive and intact, producing proteins that resemble floating strands, sediment, small pebbles, and occasionally Jello-like blobs. 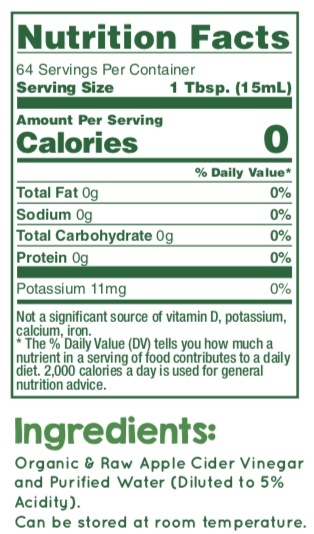 It is safe to consume, even for children and pregnant or nursing mothers. If this is unappetizing to you, simply strain it out!